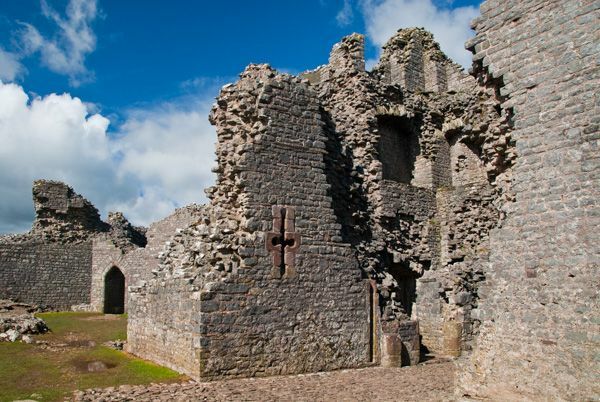 A 13th-century ruin atop a sheer cliff, Carreg Cennen is one of the most dramatically sited of Welsh castles. It's a stiff climb, but worth it just for the atmosphere. The site may have been used by the Romans, as Roman coins and even earlier pre-Roman skeletons have been found here. 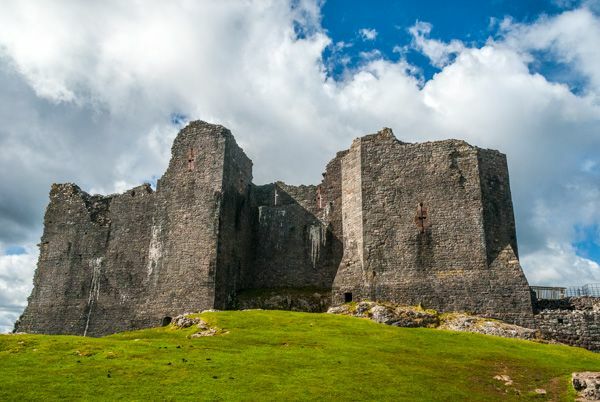 Lord Rhys (Rhys of Deheubarth) built a more permanent castle here in the late 12th century, though it was taken by Edward I of England in his first Welsh campaign of 1277. 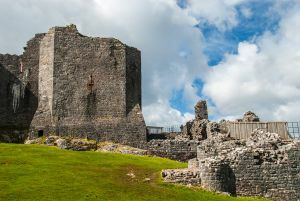 Edward scarcely had time to occupy the castle before it was under Welsh attack, first by Llewelyn ap Gruffudd, and then by Rhys ap Maredudd. 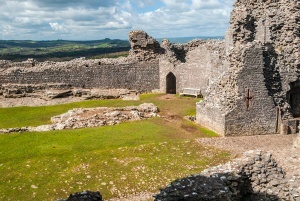 Edward granted Carreg Cennen to John Giffard of Brimpsfield (Gloucestershire) as a reward for his support in Edward's conflict with Llewelyn. It was Giffard who rebuilt the Welsh fortress in impressive style. Between 1283-1321 Giffard and his son created a complex structure that makes the best possible use of the rocky hill on which the castle stands. The west and south side of the hill fall away steeply, providing natural defences. To the north and east the Giffards built an outer ward, pierced by a strong gatehouse. 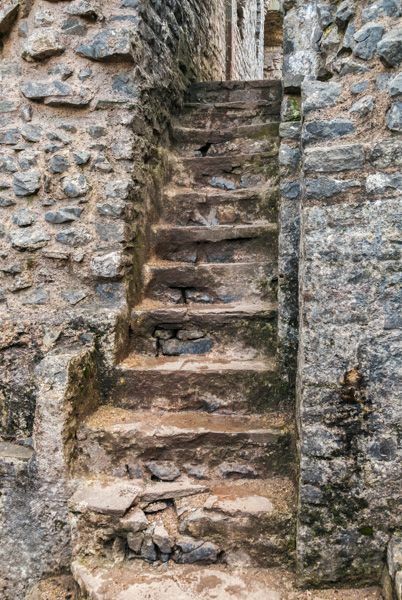 If an attacker managed to get through the outer gatehouse he had to make at least two sharp turns to reach a strongly defended twin-towered gatehouse to the inner ward. 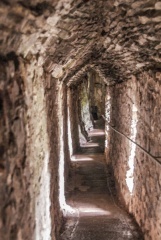 Beyond a domestic range inside the inner ward is a passage cut into the cliff, providing access to a natural cave under the castle. The mouth of the cave was partly walled to allow space for pigeons to roost. In 1321 the younger Giffard rebelled against Edward II and lost the castle. 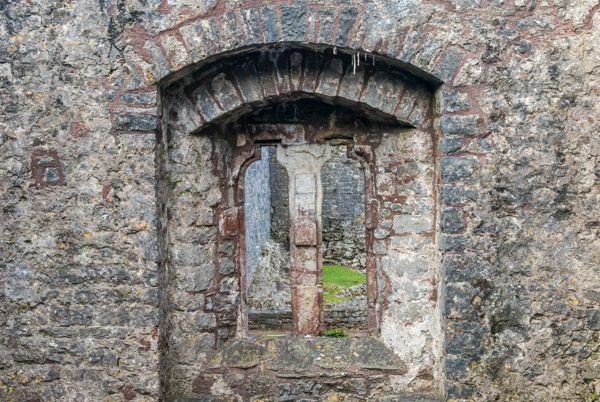 In the 14th century it was owned by the Lancaster family, who also held Kidwelly Castle. John of Gaunt married a Lancaster heiress and through their son, the future Henry IV, the castle passed to the crown. Owain Glyndwr captured Carreg Cennen after a siege, but it was retaken after Glyndwr's rebellion failed. It was refortified by Gruffudd ap Nicholas in 1455. Nicholas was a supporter of the Lancastrian side in the Wars of the Roses, and his sons fought at the Battle of Mortimer's Cross in 1461. 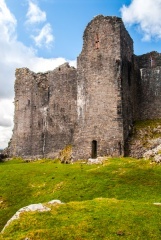 With the battle lost, they fled to Carreg Cennen for refuge. They did not stay in peace for long, because in 1462 Yorkists under Sir Henry Herbert of Raglan and Sir Roger Vaughan of Tretower took the castle. The Yorkists slighted the castle so that it could not be held against them. 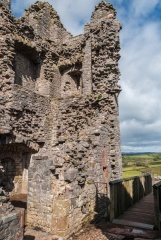 Henry VII gave Carreg Cennen to Sir Rhys ap Thomas, and it eventually passed to the earls of Cawdor. Finally, in 1922 it was granted to the Office of Works. 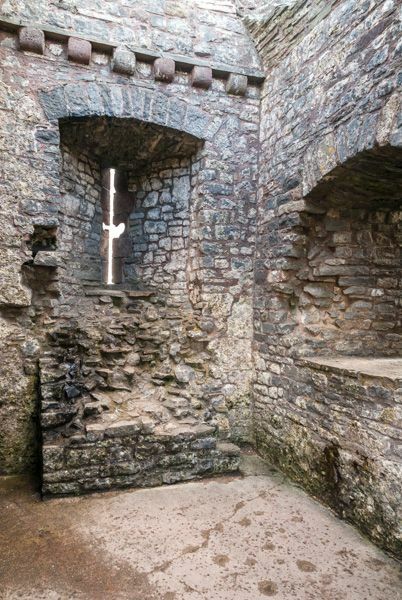 It is now in the care of Cadw, Welsh Heritage. I can't recommend a visit highly enough. The location is utterly superb. You can only reach the castle by way of a stiff uphill climb, but the reward for your climb is wonderful views across the surrounding countryside. 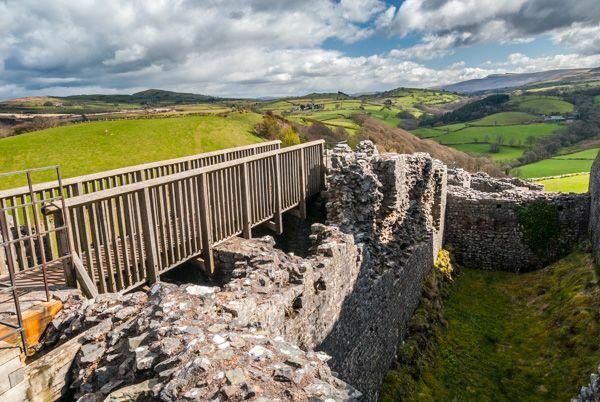 It is easy to see why Carreg Cennen has drawn artists over the centuries; the scenic beauty of the very substantial ruins is undeniable. 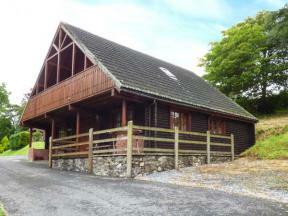 This detached cottage is set in the village of Trapp, close to the town of Llandeilo and sleeps ten people in four bedrooms.